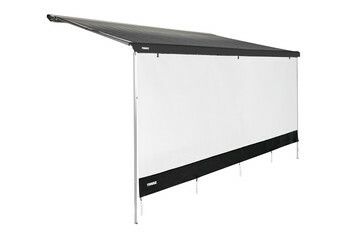 Thule van panels give you the ideal outdoor shelter and privacy under your awning. Combine with other panels as you want. 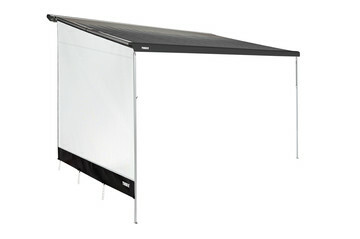 Suitable for most Thule van awnings, Thule panels let you create additional privacy as well as protection against the sun, wind or rain. 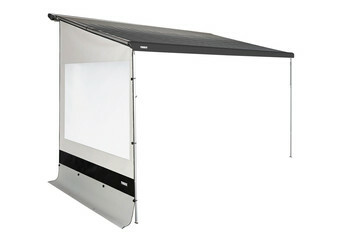 The wide range of front and side panels can be combined in many ways for optimal protection. The front panels can also be rolled up when they are not in use. Installation is quick and easy. 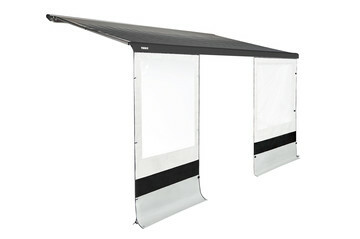 The front panels slide into the awning lead rail while the side panels slide into an aluminium rafter, which is included with the side panel and mounted between the awning’s cassette and lead rail. You can also easily combine with other Thule panels.